Non profit organizations need to open bank accounts in order to achieve their charitable goals. As a non profit business owner looking for the best bank to open an account at, your head is spinning with rules, regulations, and policies. You may have developed your organization around environmental protection and want to jump into charity work. However, you still need to focus on your finances, despite how difficult they are to understand. Fortunately, you can comprehend the rules you need to follow without spending hours doing research. Below, you will find the most crucial bank account for non profit organization rules to follow. To open a bank account for non profit organizations, you need to file with the IRS. Although non profits are not taxed, associations still need to work within the system. With that being said, banks require non profits to be filed prior to opening an account. You need to file annual returns with the IRS. More so, you are required to inform them of your organization’s income. 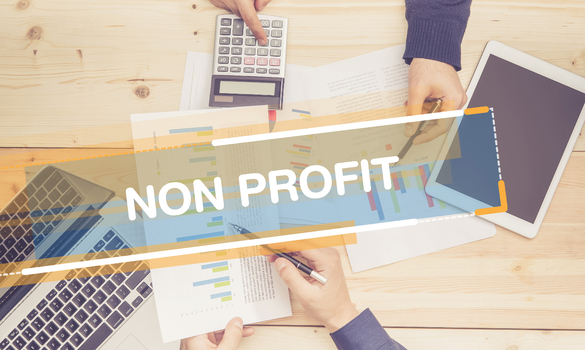 Thus, the bookkeeping element of a non profit is just as critical as it is for a for-profit company. Like a for-profit business, purchase accounting software to ensure your financing processes are efficient. Your bookkeeper will be able to use your bank statements to gain insight into your financial situation and accurately file with the IRS. Follow this rule to open a bank account for non profit organizations. Another bank requirement for opening a bank account for non profit organizations is a copy of bylaws. To complete this form, determine the purpose of your non profit association. Then, include your contact information along with that of any other significant leaders within the organization. Most banks desire the president, vice president, treasurer, and secretary to be on each non profit’s copy of bylaws. To open a bank account for your charitable business, follow this rule in accordance to your bank’s specifications. In addition, provide officer information in order to open a bank account for non profit organizations. Share a list of all of your non profits officers with your bank. Include each officer’s government-issued identification as well as photo IDs. Most banks also require each officer’s social security number. Some demand another document that proves identity as well. If this is the case with your bank, request insight as to which documents are acceptable as additional proof. Although requirements vary slightly depending on the bank, every bank maintains a rule of documenting officer information for non profits. To maintain a bank account for non profit organizations, follow the rule of reporting cash payments. The IRS demands each bank to report any deposit made by a non profit organization that exceeds $10,000. Furthermore, banks are required to report multiple transactions that add up to $10,000 if those transactions seem to be related. Keep this in mind when you host large charity events. If you receive a check for more than the reportable amount, you are at risk of IRS investigation. To ensure that you do not suffer under such an investigation, track your finances accurately. Understand the report cash payments rule that banks must follow and initiate transactions accordingly. Lastly, you need to follow the bank account for non profit association rule of meeting minimum balances. Every bank requires a different minimum balance for non profit accounts. To refrain from having to pay minimum balance fees, follow this rule at all times. Plan ahead to ensure that your finances never fall below the minimum amount required by your bank. Set aside emergency money in your bank account. If your non profit makes less money during the winter, budget your money over the summer to ensure that you have enough in your account to get through the winter months charge-free. Then, you will follow this rule and run your non profit organization successfully. To enhance your charitable services, open a bank account for non profit organizations and follow the rules associated with doing so. Firstly, file with the IRS as a non profit association. Maintain a copy of your bylaws and present it to your bank. Provide your bank with information from each officer. Understand the bank’s duty to report any transactions that exceed $10,000. Finally, never fall below the minimum account balance required by your bank. Follow these bank account for non profit organization rules to benefit your cause.